This is the the official blog of Liverpool Samba School. Our main site is at www.carnival.org.uk. We have hosted and participated in over 900 events internationally and at home. This year's Brazilica Festival was the biggest and best ever with 3 days of amazing events in Liverpool City Centre. Join us for percussion and dance lessons, or join in one of our spectacular events, or hire us for your next party! 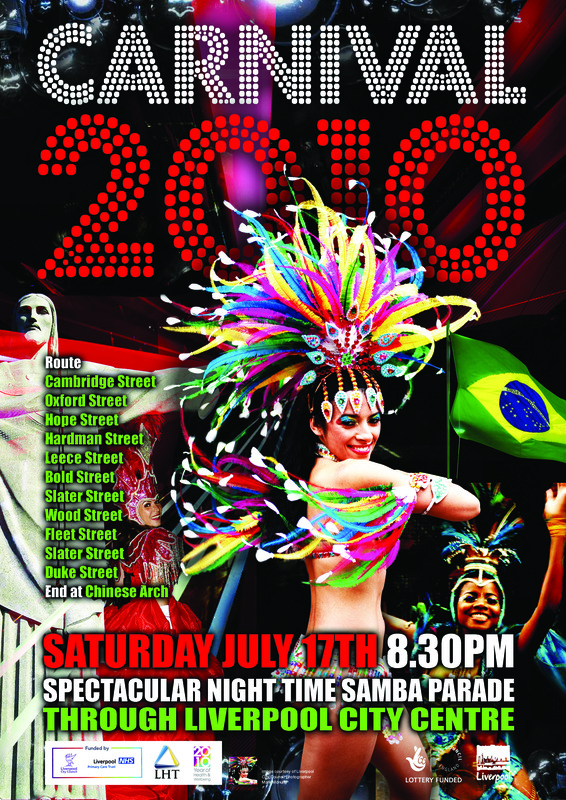 Liverpool Samba School Blog · bringing glittery, glorious Rio-style samba to Liverpool for over 10 years!